Artist and director Julian Schnabel scored a hit with New York’s Bohemian crowd when he unveiled the Gramercy Park Hotel. Artsy, edgy and exclusive enough to have Lady Gaga sipping cocktails at its Bar every once in a while, the Gramercy Park has the vibe and looks you’d expect from a hotel born from the mind behind movies like “The Diving Bell and the Butterfly”. There are original Basquiats and Warhols on the walls, Damien Hirsts too, and the crowds match the vibe. New York’s top socialites and artists filling their Instagram feeds with each other, while up and coming musicians - or established bards like ex Guns N' Roses frontman Axl Rose - belt tunes till the early hours of the morning. The Gramercy Park is a world onto its own tucked away in one of New York’s most quiet and exclusive neighbourhoods. Interested in a stay? 20th century masterpieces by artists Andy Warhol, Jean-Michel Basquiat, Damien Hirst, and Julian Schnabel. Access to the only private park in New York City, Gramercy Park. The legendary Rose and Jade Bars are two of the most original and exciting spaces in New York. 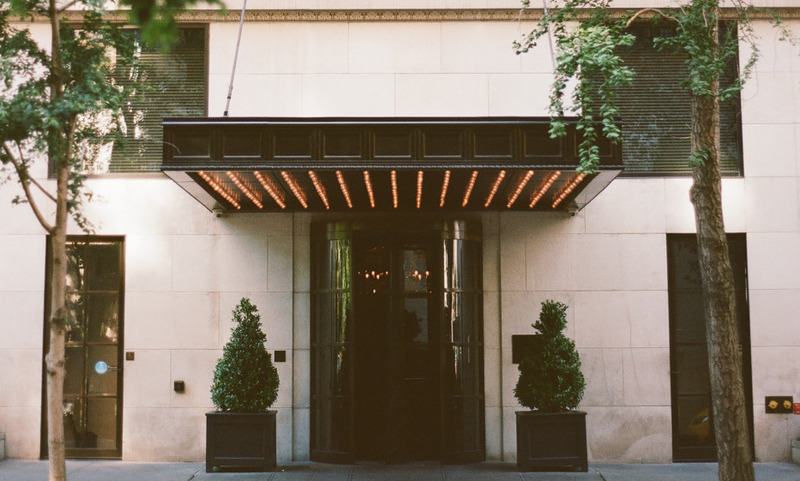 We loved our stay at the Gramercy Park Hotel. You can't beat the location, the people were super nice and accommodating, and the room upgrades and early check-in were wonderful. We would definitely go back. The Gramercy Park Hotel is a gorgeous and special property with beautiful public spaces, guest rooms and restaurant and lounges featuring wonderful artworks. The customer service is exceptional - from the reception and check-in experience to the concierge services and housekeeping. All staff members went out of their way to make sure my visit was a top quality and luxurious experience. I will definitely return here again during another visit to NYC. Loved it-- breakfast a little lighter than I expected ( thought 2 pastries each and yogurt included) but otherwise very pleased with our experience. We will return! We really love the atmosphere of this hotel, very intimate, perhaps a little to “family oriented” but very chic, especially with the original artworks and the authentic chimney!! A perfect place to stay, even for longer periods of time. Very private and fantastically well decorated rooms. Luxurious. Quiet. Great service for the most part. Towels not hanging up in bathroom but under sink a bit odd. Continental breakfast fruit was nothing special but coffee and pastry okay. Too many carbs. Typical. I enjoyed it. I would recommend it to friends and family. I thought the service throughout the hotel was very good. Amazing hotel really loved it. It's a shame the terrace was closed for private events but otherwise good. I did arrive at around 9pm when I checked in and my only improvement would be for someone to offer to carry bags to the room. Otherwise everything was perfect and the staff at the front desk were exceptional. Love the hotel and the decor and esp the rose bar is a great asset. Would 100% stay as my regular NYC hotel.